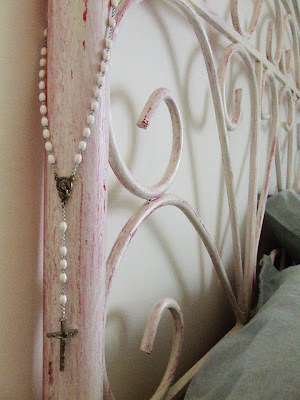 This Vintage Find Sunday I share with you my bed, particularly the headboard. To me, the bed is very important...a place of comfort and love. I enjoy a super soft bed, and I usually have more pillows on the bed, but I wanted to show off the headboard today. 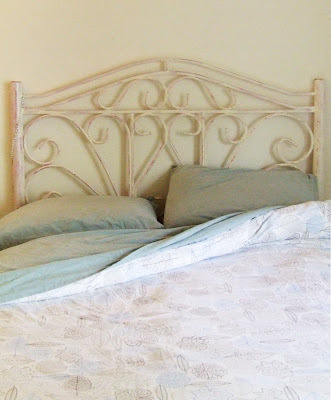 The headboard is wrought iron and has gone through several paint cycles (gray, pink, now white). There is also a foot-board, but it was a little overwhelming and large for my needs. The foot-board is at my parent's house and was converted into a new headboard for their guest room. My bed has a girly appeal, but I love it...I love coming home to it...I love waking up in it. The flannel sheets are from Garnet Hill and the duvet cover is from Ikea. ohh Dreamy! I have a very simple bedroom with lots of soft colors like yours and really can appreciate enjoying where you wake up. Dreamy is a great word for it - thanks! So lovely & romantic! It's so important to feel relaxed & cozy in your bed. Your bed definitely looks like it accomplishes both. I have been on a quest to make my bed dreamier. 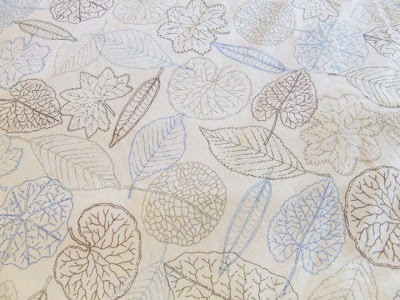 I forgot about Garnet Hill - I luuuv their sheets. I'm so on that website in 2 seconds. Thanks!!! I'm adding you to my blog roll! Hi Diana! So, I've just read all your vintage find sunday posts, and I love them! You have a great eye for vintage finds. Actually, I'm really loving your whole blog (Which I discovered after you left a comment on mine) and would like to add you to my blog roll. :-) thanks for visiting!